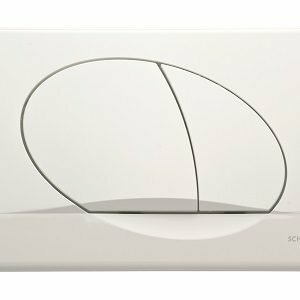 Since the company foundation in Pfullingen, Germany in 1911 Schwab products have been distinguished by their technical excellence and design perfection, created for living comfort. 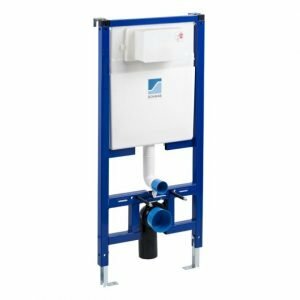 Fluidmaster products deliver ultimate reliability, high performance and minimal maintenance. Together, these trusted systems allow you to design a superb new modern look to your bathroom. Imagine a sleek new look, easy to clean, ultra reliable, simple to maintain and all completely hidden. The Dots Duo push plate is available in three different finishes white, matt chrome and gloss chrome. 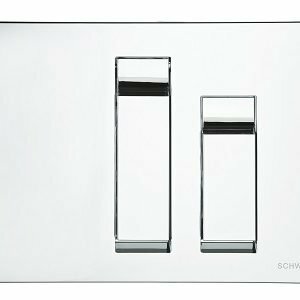 The push plate shown and priced is gloss chrome. The Circle push plate is available in a selection different of finishes and some with a tempered glass option. The push plate shown and priced is white. 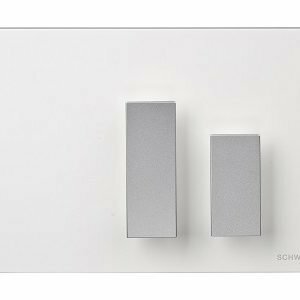 The Ovate Duo push plate is available in a three different finishes white, matt chrome and gloss chrome. The push plate shown and priced is white. 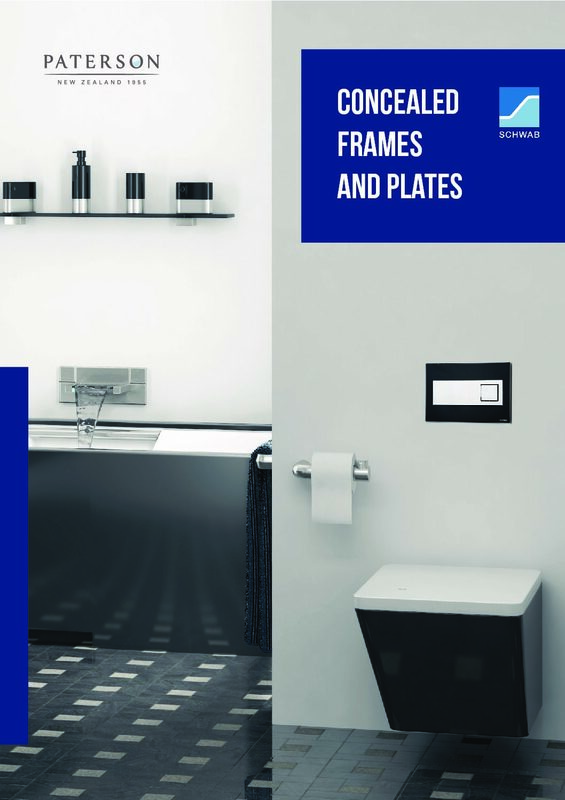 The Caro push plate is available in a selection different of finishes and some with a tempered glass option. The push plate shown and priced is black. 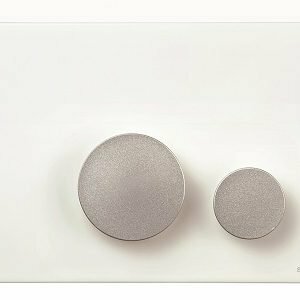 The Futura push plate is only available in white with silver buttons. The Genera push plate is only available in white with silver buttons. 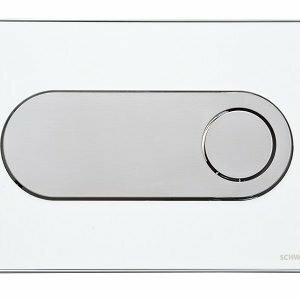 The Dura push plate is available in three different finishes white, matt chrome and gloss chrome. 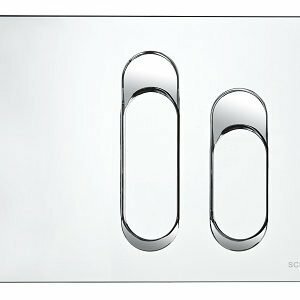 The push plate shown and priced is matt chrome. 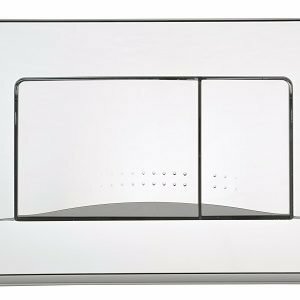 The Vivo push plate is available in three different finishes white, matt chrome and gloss chrome. The push plate shown and priced is gloss chrome. Schwab products are distinguished by 100 years of technical excellence and design perfection, created for living comfort. To this extent, Schwab concealed systems come with a 10 year guarantee backed with the highest European testing standards with concealed cisterns tested through 200,000 flush cycles. 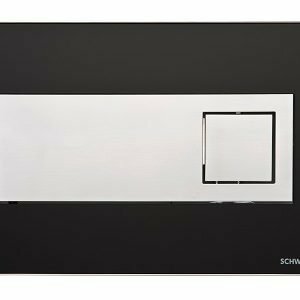 Together, these trusted systems allow you to design a superb look to your bathroom with over 20 different styles and colours of flush plate. 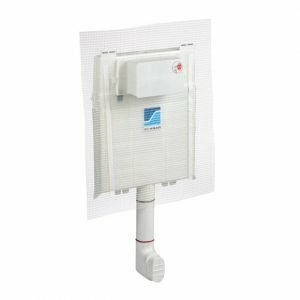 Self supporting, preassembled, powdercoated WC inwall framed cistern. Adjustable galvanised support leg range 0-200mm. Quiet fill, insulated for both noise and condensation. Requires flush plate to be ordered separately. For floor mounted back to wall WC pans. 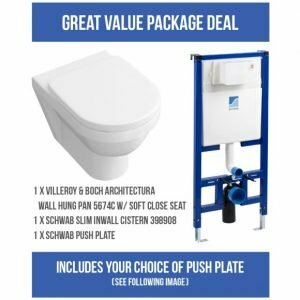 Schwab Inwall Cistern and Push Plate manufactured in the EU. Pricing accurate as of October 13, 2016 while stocks last.